Hilton Hotels are internationally famous for their high quality hospitality and included in that brand are Homewood Suites by Hilton, extended stay hotels featuring all suites. To find out how to apply for Homewood Suites by Hilton online, follow the link at the bottom of the page to start your Homewood Suites by Hilton application. The brand began in 1989 in Omaha, Nebraska and was originally owned by the Promus Hotel Corporation. Hilton took over Promus in 1999, also adding Embassy Suites, Hampton Inn and Doubletree to their list of brands. There are over 300 different locations as well as 75 more under development to be opened soon. The suites offer a variety of different amenities for the comfort and convenience of their guests. All locations offer a complimentary hot breakfast as well as free evening socials every day from Monday to Thursday with activities suitable for single people, couples and families. You will also find sports and fitness facilities at most locations. For business clients the hotels are also able to provide meeting and conference centers for different sized groups. There are also business centers including computers, fax machines, photocopiers and printers that are free to use. In addition to that there is also free Wi-Fi throughout the hotel for everyone to use. There are a lot of varied Homewood Suites jobs based in their different locations including Front Desk Representatives, Housekeepers, Laundry Attendants, Assistant Managers and Managers. Many of these positions are entry-level and therefore you won’t need much experience, although managerial positions will generally require a proven track record in a similar role. There are many job opportunities in the corporate side of the industry, although you need to apply online via the Hilton company website and make a direct application to Homewood Suites jobs. The company is currently accepting applications in Information Technology, Sales, Marketing, Human Resources, Property Systems, Finance and Accounting and others. How old do you have to be to work at Homewood Suites by Hilton? You will need to be at least 18 years old or over to apply for jobs at Homewood Suites by Hilton. 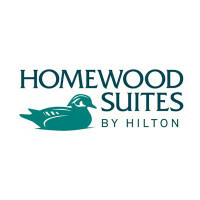 Hilton provides its employees with a number of benefits for those with Homewood Suites careers. Employees will generally be eligible for health insurance plans including medical, dental and vision packages as well as 401(k) retirement plans. You may also be entitled to paid time off, training opportunities and discounts on hotel services. The hotels operate 24 hours a day, 7 days a week so you will need to check your exact job description for your own specific working hours. Front Desk Agents – Front Desk Agents are the first to encounter guests and so they represent the hotel; their responsibilities are crucial to upholding the reputation of the hotel. You will need to handle reservations and enquiries and be able to resolve any issues that arise with the guests. The average pay for this job is $10 an hour. Laundry Attendant – Working in this position you will be responsible for collecting the dirty linens that are taken from the rooms and replacing them with freshly cleaned ones. Laundry Attendants are responsible for the washing, drying, ironing and sorting of laundry. This job will typically be paid at minimum wage, starting at around $10 an hour. Housekeeper– The job description for those working in Housekeeping Staff roles requires you to ensure that all rooms meet the required standards that guests expect when they stay at the hotel. Duties will include cleaning the bathrooms, making the beds and restocking various items. This is an entry-level role and will typically be paid at $10-11 an hour. General Manager – General Managers are required to maintain the expected standards of the hotel and ensure that all departments are working towards the same goal. General Managers are responsible for hiring, training and managing staff as well as undertaking various administrative and financial duties. The expected salary for this role starts at $59k/year. Practicing some typical interview questions once you’ve submitted your Homewood Suites application to increase your chances of employment. Why do you want to work here? Make sure your answer is specific to the company you’re interviewing with by doing some research on the company before you go to help with your answer. What are your career goals? Outline how you see your career progressing when you answer this question but always remember that they are looking for people who are planning to develop their careers with them. What is your biggest strength? When you answer this question make sure you choose something that is related to the skills that you will need for the job. You should use every question as an opportunity to demonstrate your ability. How would you handle an angry customer? Customer service skills are a very important part of jobs in the hospitality industry and so you will need to be able to handle potentially difficult situations in a calm and professional manner. Tell me about your customer service experience. Make sure you give specific details about your previous experience and include details about how long you worked in previous jobs and what your specific duties were. To begin your Homewood Suites job application online, search Homewood Suites by Hilton jobs online or follow the links below to find the careers webpage of their parent company, Hilton Worldwide. Most applications will go through Hilton when you select jobs and apply online. Fill in their online application form and upload your resume. If you want to submit applications to a local hotel you can go down there in person and request a free application for any available positions by speaking to the manager. You can’t download a printable application for Homewood Suites by Hilton. Always check your application for any errors before you turn it in. The application process should take less than a month to process entirely. After they receive your application you will usually be invited for one or more interviews, one of which can be over the phone. It’s very important to be well presented when you meet the hiring manager as appearances are very important in hospitality. When you’re in your interview always make sure you take your time when answering questions, think through your answers and speak clearly. Use every question as an opportunity to show why you could be a good employee. It might sometimes be necessary to follow up after the interview via phone or email to check on the status of your application. Travelodge Hotels: Travelodge Hotels offers opportunities for both, beginners and experienced roles. Sleep Inn: Sleep Inn offers opportunities for both, beginners and experienced roles. Aloft: For career opportunities, fill out the Aloft online application. Crowne Plaza: Visit the job application for Crowne Plaza to apply today. Country Inn And Suites: See our guide for careers at Country Inn And Suites.